The medical panel is headed by Dr. RESHMI PRAMOD (ayurvedic doctor and ayurveda physician) assisted by a team of Resident Medical doctors who take care of the routine activities of both hospitals and affiliated centres. Dr.SHINAS B S, Dr.MANJIMA T A, Dr.SILPA S PRAKASH, Dr.RESHMA HARIKRISHNAN stationed at Jeevaniyam Ayurveda Hospital & Research Centre are specially trained in the management of Autism, Cerebral Palsy, Learning Disorders and other related health problems apart from their basic expertise in Ayurveda Panchakarma treatment. The doctors at Aswini Hospital & Maternity Centre are trained in women health care and Ayurveda Panchakarma. 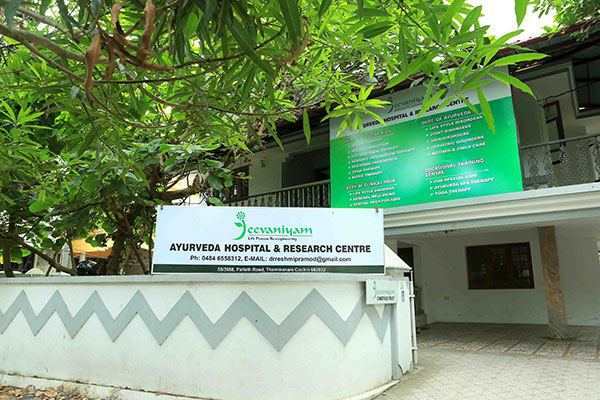 The doctors managing the affiliate/associate centres are groomed in Ayurveda wellness management and yoga. The motivating force and the inspiration of Jeevaniyam Ayurveda is the founder and Chief Physician of Jeevaniyam Ayurveda hospital. Dr. Reshmi Pramod, Ayurveda physician is an accomplished alumnus of VPSV Ayurveda College Kottakkal inherits the legacy of centuries of Ayurveda practice from her traditional Ayurveda practitioner ancestors. Equipped with 13 years of experience and the orally transacted wisdom of her predecessors she excels in preventive, palliative and curative aspects of General medicine, Panchakarma Therapies, Clinical Yoga and Hospitality. Facing and determinedly defeating the challenge posed by her weakened eyesight with professional excellence and futuristic career vision she has risen as the role model both as a person and as a professional. Over the years, Dr. Reshmi Pramod, Ayurveda physician has carved a special high place for herself and has attained fame nationally and internationally, as a provider of personalized Ayurveda based integrated health care with a scientific approach. Dr Dinesh KS is an accomplished practitioner and evangelist of Ayurveda with extensive clinical and research experience and he is the chief advisor of JEEVANIYAM AYURVEDA HOSPITAL. He has over thirteen years of practical experience with proven expertise in the management of autism, cerebral palsy and infertility. With a gold Medalist from Calicut University, he has an outstanding academic record. Presently he is the Head of the Department, Department of Ayurveda Pediatrics, VPSV Ayurveda College Kottakkal. DR. LEKSHMI PARVATHY.R is a honored personality in the field of Ayurveda medicine , she has completed her BAMS from BAPUJI AYURVEDIC MEDICAL COLLEGE ,SHIMOGA KARNATAKA. Done her internship at VIDHYARATHNAM VIDHYASHALA AYURVEDA NURSING HOME ,OLLUR, THRISSUR. She graduated BAMS from ALN Rao Memorial Ayurveda Medical College, Koppa, Karnataka.She done Yoga Instructor Course from SV Vyasa Yoga University, Bangalore, Karnataka. She is specialized in yogic asanas and breathing techniques for life style disorders. Completed her BAMS degree from the esteemed SDM College of Ayurveda And Hospital, Hassan, Karnataka and her Yoga Instructors Course from SV-Vyasa Yoga University,Bangalore. She has a 1 and half year experience as Ayurveda Consultant. Her area of interests are in panchakarma treatments and relaxation techniques in Yoga. Dr. Priyanka Abhilash (PT) is a renowned and honored personality in the field of physiotherapy. Her proficiency is highly sought after the Pediatric Physiotherapy. She has extensive experience working with Neurological ,and Orthopaedic conditions like Cervical spondylosis , Backache, Sports injuries,Microcephalus,Hydrocephalus and Cerebral palsy. Dr.Priyanka Abhilash graduated BPT from Dr MGR Medical University, Chennai and has also completed courses in Infant care and massage .Her area of special interest is cerebral palsy. Presently she is the Head of the Department of Physiotherapy at Jeevaniyam Ayurvedic and Research Centre,Thammanam, Kochi. She is a member of Indian Association of Physiotherapists and Kerala State Physiotherapy Association. She has attained her bachelor’s in audiology and speech language pathology from Marthoma College Of Special Education –Institute For Speech And Hearing , Kasaragod. She is expertise in dealing with children with autism and cerebral palsy. Reshma S (PT) is a honored personality in the field of physiotherapy. Her proficiency is highly sought after the Orthopedic Physiotherapy. She has completed her Bachelor’s degree in physiotherapy from Dr NTR University of health science, Andrapradesh and she has completed internship in Lakshmi venkatesh T.G college of physiotherapy. Her area of interest is in dealing with children having autism and cerebral palsy. Presently she is working as a junior physiotherapist, at Jeevaniyam Ayurvedic and Research Centre,Thammanam, Kochi. She has done TTC (TEACHER TRAINING COURSE ) Due to the FOUNDNESS to special kids she has done diploma in special education from KVM COLLEGE , CHERTHALA ,ALAPPUZHA, she is a registered member of REHABILITATION COUNCIL OF INDIA (RCI) and she is an expert in dealing with disabilities like autism , cerebral palsy , learning disabilities over last 3 years . She has done her diploma in special education (Specialized in Autism spectrum disorder) from K.V.M COLLEGE, CHERTHALA, ALAPPUZHA. she is a registered member of REHABILITATION COUNCIL OF INDIA (RCI). And have 2 years of experience in handling children with autism, mental retardation and other learning disabilities. 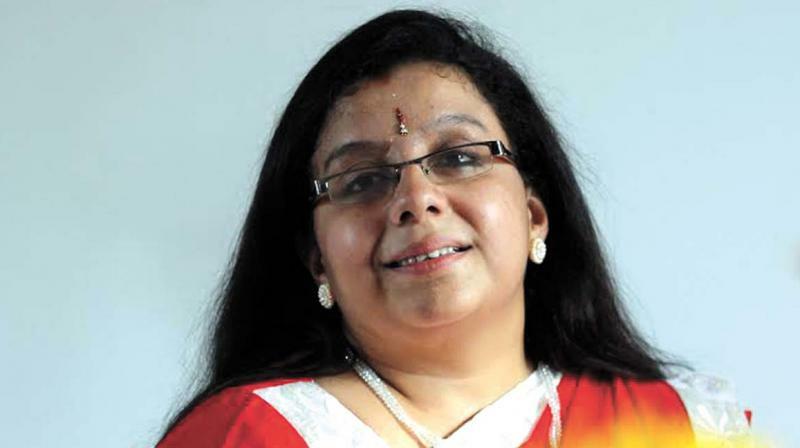 S. Vishnu Priya, Msc.OT (UK) is a renowned and honored personality in the field of Occupational Therapy. She has an extensive working experience with Pediatrics as well as adults with Neurological disorders. S. Vishnu Priya gained her Bachelor’s degree from KMCH College of Occupational Therapy, Coimbatore, Followed by Master’s degree from Coventry University, United Kingdom. She is experienced in Pediatrics & is trained in handling children with Autism, Attention deficit hyperactive disorder, Learning disability and Cerebral Palsy. Her area of special interest is Sensory Integration Therapy. Mr. Ajay M Bhasker is a renowned and honored personality in the field of Public Health. He has extensive working experience in Public Health, Public Relation, and Health Marketing. Ajay M Bhasker Post graduated in Masters in Public Health from University College of Medical Education Kottayam. Graduated in Biotechnology from Mar Ivanious College Trivandrum. He has 5 years of Experience in the field of marketing. Certified in Ayurveda Nursing. He organized several National and International Conferences, Workshops and Seminars on in Developmental Disabilities. A member of Autism Group Cochin. He participated several National and International Conferences and Seminars on in Public Health. His area of interest is Health marketing, Public Relation and Parental Counseling.